Ideal for successive bursts of short-term, high intensity excercise. SiS Creatine is the latest addition to the SiS range, offering a convenient way to help increase physical performance. 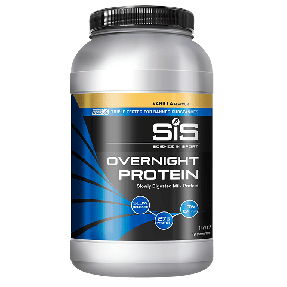 Add the unflavored variety to an SiS whey protein shake or Rapid Recovery or enjoy the flavored creatine with water. 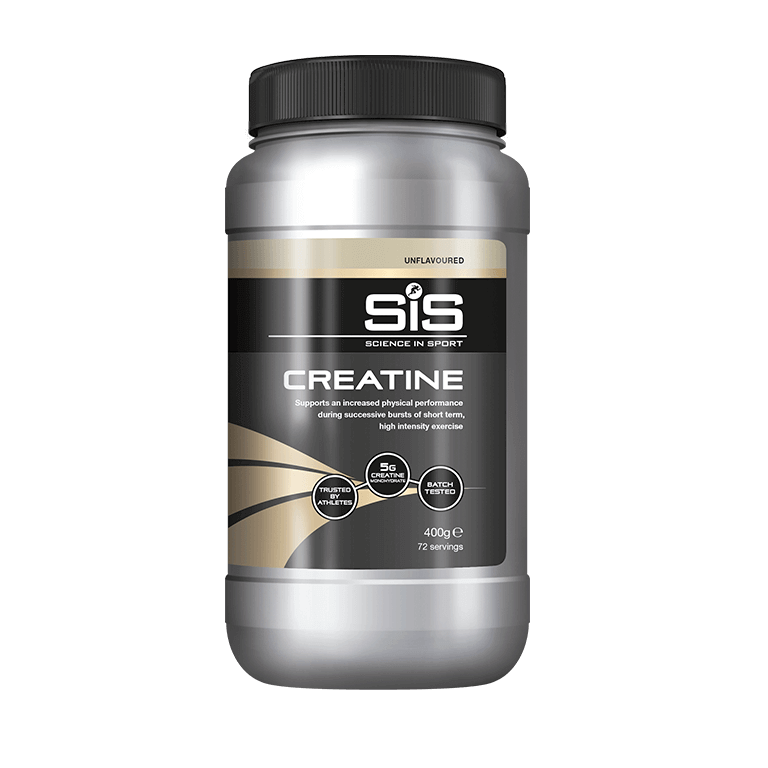 Creatine uptake to muscle is enhanced by insulin and muscle contraction so is best consumed with food and in the post-exercise period in combination with our key recovery products (e.g. Advanced Isolate+ or REGO Rapid Recovery). The product contains high quality creatine monohydrate which has been shown in many scientific studies to increase physical performance in successive bursts of short-term, high intensity exercise. Each serving contains 5g of creatine monohydrate. Consume 4 x 5 g per day for 5 days followed by 3-5 g per day thereafter. Add one heaped scoop (orange flavour)/ level scoop (unflavoured) to water or an SiS whey protein/ REGO Rapid Recovery shake and consume. Creatine Monohydrate is a naturally occurring and non-essential compound that can be obtained through the diet or synthesised in the liver and kidneys. Once synthesised, creatine is predominantly stored in the muscles where it also exists in a phosphorylated form known as phosphocreatine (PCr). The amount of creatine consumed in habitual diets is not sufficient to enhance muscle creatine and PCr stores. Therefore, athletes often supplement with Creatine Monohydrate. Creatine is one of the most commonly used sports supplements. A daily intake of 5g creatine monohydrate after a loading phase has been shown to increases physical performance in successive bursts of short term high intensity exercise. SiS Creatine is tested under the Informed Sport Certification program. This approach involves testing every single batch of SIS finished product which leaves the Company’s factory, screened against the 2017 World Anti-Doping Agency (WADA) list. Banned substances including steroids are tested to the level of 10 Nanograms per gram, and stimulants to 100 Nanograms per gram. Batches (sampled at the beginning, during and end of each product batch) receive the recognised and respected Informed Sport certificate and SIS provides the documentation to athletes on request. PCr is used to provide energy during high-intensity exercise where it is broken down by the enzyme creatine kinase to transfer phosphate to ADP to produce ATP. The rate of energy (i.e. ATP) production from this energy system is much quicker than that provided by the oxidative metabolism of carbohydrate and fats. As such, this system is very active during sprinting, repeated sprints and explosive activities (e.g. strength and power type movements). By supplementing with creatine monohydrate, the resting concentration of muscle PCr stores are enhanced and hence, high intensity exercise performance can be improved by increasing power output in single and repeated efforts. Reported side effects may include some water retention (resulting in weight gain through retaining water). GI distress has been reported in some individuals, but is uncommon. Add one heaped scoop (orange flavour)/ level scoop (unflavoured) to water or a protein shake and consume. Use 1-2 times daily. Consume a 20g loading dose (4 x 5 g per day with food and/or post exercise) for 5 days followed by 3-5 g per day thereafter as a maintenance dose. What’s the difference between the flavoured and unflavoured variety? There are no differences between the two varieties. We recommend mixing the unflavoured creatine with an SiS Whey protein shake, Advanced Isolate+ or REGO Rapid Recovery. Mix the flavoured variety with water and consume with food. I’m an endurance athlete, will creatine do more harm than good? Creatine Monohydrate consumption can help increase power output during single and repeated high-intensity efforts, which can help increase aspects of endurance performance. As such, creatine supplementation can be used prior to competition and in training to increase the absolute training intensity. 1 scoop will provide 5g of creatine monohydrate. Yes, but for best results, mix with a SiS shaker. Simple to mix and it doesn't have a bad flavour - I mix it into water and drink it with no issues.